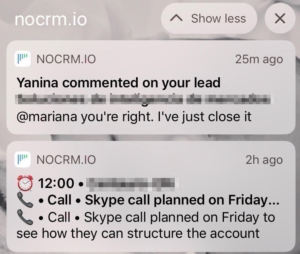 As we announced previously, noCRM.io is now officially present in New York City, Milan, Berlin and Moscow 🙌. This means that we have added 3 new languages to our web and mobile apps: Italian, German, and Russian. And thanks to our new country managers, we also provide customer support in those languages. To further support our new markets, we’ve introduced new weekly webinars: two in English, one in German and another in Italian; feel free to subscribe to the one that best suits you. A weekly webinar in Russian will soon be available too! To sum up: noCRM is now available in 7 official languages, and has offices in 8 countries! As many of our customers have been requesting this, we’re happy to announce it’s now available! 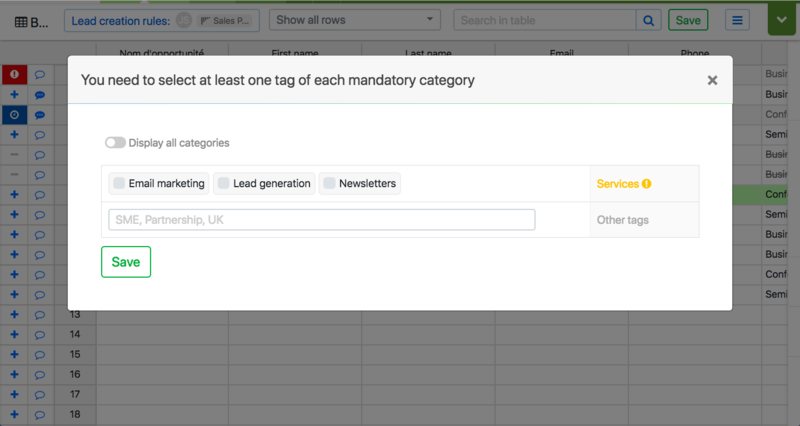 If you have defined in your Admin Panel that certain tags should be mandatory when creating a new lead, this is now also the case when a lead is created from a Prospecting List. 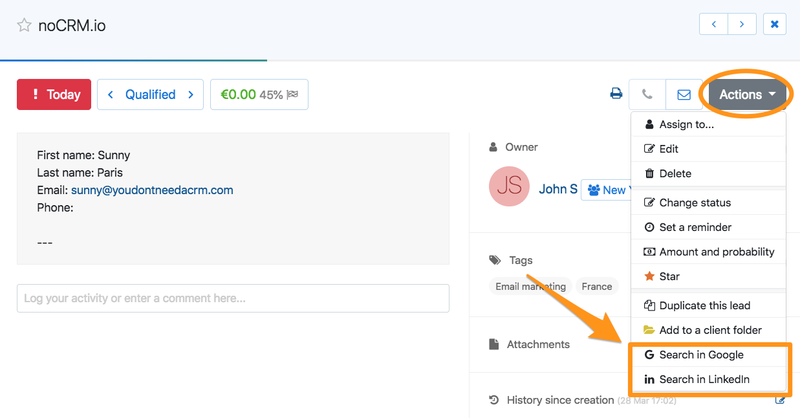 Click on the “Create Lead” button, and a pop-up will appear to make sure you have the mandatory tags added to the lead. You have a company name and a contact, but wish to know more about your lead. For example, what’s the role of this contact and what does their company do? Well, figuring that out is now only a couple of clicks away. Go to the Admin Panel of your account and activate these options. 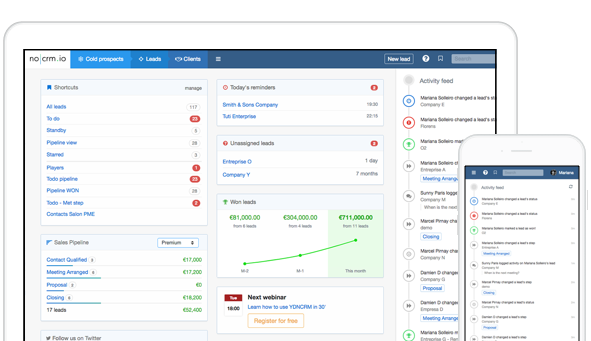 Open your lead and launch the searches from the the Actions menu— as easy as that! A new version of our Mobile App, available on both AppStore and Google Play, was released with the new languages, bug fixes, and new notifications, such as reminders on your near future planned actions, and your morning briefing. You can select what notifications you would like to receive and where to receive them by going into your user’s Settings & Preferences. Start getting notified on your phone, email, and browser!